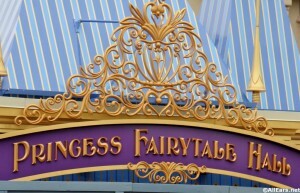 There are some interesting reviews surfacing about Magic Bands and Disney’s FastPass+ system. 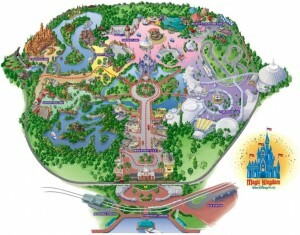 Certainly, how you plan your touring of the Disney World theme parks has changed. The crowds are flowing differently. With only 3 Fast Passes available each day, we need to be ready if we want to experience all of our favorite attractions. This is true especially at the Magic Kingdom theme park. There are 26 Fast Pass choices at Magic Kingdom! If your touring plans include visits with Disney characters your Fast Pass choices get even more difficult. There are 5 character meeting experiences out of the 26 FastPass+ options at Magic Kingdom. If you are staying at a Walt Disney World Resort, you get the perk of arranging the Fast Passes ahead of time. Anyone who stays offsite has to wait and arrange Fast Passes upon arrival at the Disney theme park. 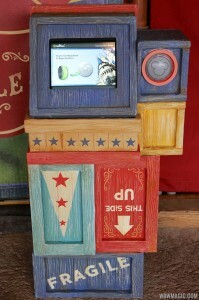 This does tend to cause long lines at the FastPass+ kiosks in Magic Kingdom. So, make use of the My Disney Experience on your laptop or phone if you are a Disney Resort guest. That way you can avoid the kiosks. it is also a good idea to avoid the areas around the kiosks at busy times. Those areas can get congested. You can see the list of kiosks here. Disney has come up with some really fantastic character meet’n’greet experiences. Guests get one on one time with each character in these situations. There are PhotoPass photographers there and you can take your own photos. It is truly the most personal way to meet Disney characters. This means each meet’n’greet takes time. Ten people in line could mean a 50 minute wait. This makes the FastPass+ touring option a great way to meet characters. The character experiences there are: Enchanted Tales with Belle, Ariel at Ariel’s Grotto, Rapunzel at Princess Fairytale Hall, Cinderella at Princess Fairytale Hall and Mickey at Town Square Theater. If you take two touring days, you can accomplish seeing all the characters and still experience other fun attractions. This would not be a meandering style of touring by any means. You must plan to arrive for rope drop. If you are touring on a budget this plan saves you money right at the start. There is no park hopping involved here. You will only need base tickets for this touring style. First schedule two days worth of FastPass+ options for late in the day. You will use 5 of the 6 FastPass+ touring options for character experiences. Use the 6th FastPass+ option for one of the busier favorites. 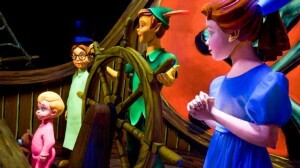 Peter Pan’s Flight is a good choice. Space Mountain is another good option. Second choose two attractions from each Land in Magic Kingdom. This will give you a list of 12 attractions. Add those to the 5 FastPass+ optioned Disney character experiences and 1 FastPass+ option for an attraction and you have 18 Disney vacation experiences over two days. Now, divide the theme park in half. Your touring plan will be to visit three Lands each day before your fast Pass+ times, and experience 6 attractions. If you arrive at park opening you should be able to do a few of your favorite attractions before the lines get too long. You might even accomplish the list of 12 attractions. Plan your day right and hop in line for lunch at Be Our Guest; that one is worth the wait. 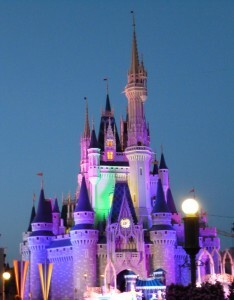 When your day is done, your wonderful Walt Disney World Resort will be waiting to welcome you home. You might enjoy a nice evening swim before you get a good night’s sleep. Sweet Disney dreams await you.